Heat Transfer by a Conduction contd. TopChalks faculty Majeed Sir and Sachin Sir are the only one responsible for my success in IIT-JEE. 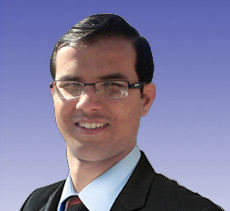 Mr. Gaurav Aggarwal is a B.Tech from IIT-Delhi. He is respected by the students for his in depth knowledge of the subject and conceptual clarity. His deep incite and example makes the student feel the subject practically. Mr. Sachin Chhabra is a B. Tech from IIT-Delhi. He is one of the founding faculties of Edusat program in Punjab which has made a significant positive difference in the lives of thousands of IIT-JEE aspirants of rural Punjab. 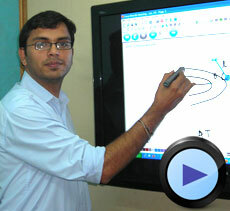 He has also designed and implemented courseware for Gyan Seva Trust, working for education of rural students. He is very popular among Delhi and Chandigarh students and for incorporating novel teaching technologies in his exceptional course work. He has been producing extra-ordinary results every year in IIT-JEE by making Physics simpler for every aspirant. To all who have had the pleasure of interacting with Dr. A. Majeed (popularly known as Majid Khan) or learning from him, he is a living legend. He did his M. Sc in mathematics from Kanpur University in 1976 and joined IIT-Delhi for research in Mathematics. He possesses a rare ability among mathematicians to communicate its perceptions and understanding to his students in a lucid way. His innovative ideas and pragmatic approach has motivated students of all walks of life. He is capable of interacting with the entire spectrum of students. Some of his achievements are as follows: Presented lectures in advance Mathematics in Indira Gandhi National Open University which are still relayed by the Gyan Darshan Channel. He has actively participated in Gyan Sewa Project being run for Rural Punjab students by Mr. H.S. Phulka in the year 2006-2007. He took tutorials of B.Tech Students in IIT Delhi when he was a research scholar there. He taught in DPS R.K Puram for 10 years and played pivotal role in bringing the name of Delhi Public Schools in global mat. 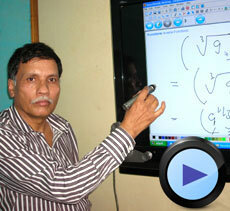 He has authored many well recognized books in mathematics. Some of which are IIT-JEE (Rachna Sagar Publication), Algebra and Co-ordinate Geometry (Disha Publication) Trigonometry and Calculus (S.A. Publication). Mr. Gaurav Aggarwal is a B.Tech from IIT Delhi. He is respected by the students for his in depth knowledge of the subject and conceptual clarity. His deep incite and example makes the student feel the subject practically. Students appreciate his Physics teachings which gives them confidence and deep understanding required for the subject. 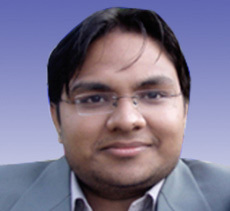 Mr. Munish Mittal is a B.Tech, M.Tech Dual Degree from IIT Delhi. His innovative and integrated approach gives Chemistry learning a new extension. His teaching structure enables student in quick implementation of strategies and solving queries. The shed of his experience is the ultimate resource for students in the field of Chemistry. Mr. Raj Kumar Bandhopadhyay is a M. Tech from Calcutta University with extensive experience of more than 15 years of teaching chemistry to IIT-JEE aspirants. He has produced numerous toppers in IIT-JEE year after year; To name a few, Sumit Kr. (AIR 5, IIT-JEE 2002); Prakash Rajpurohit (AIR 4, IIT-JEE 2003); Priya Gupta (AIR 2, IIT-JEE 2004) were taught by Mr. Bandhopadhyay. He has taught thousands of students in his career span while being associated with reputed coaching institutes such as FIITJEE, Narayana IIT Academy, etc. and he still continues to do so. 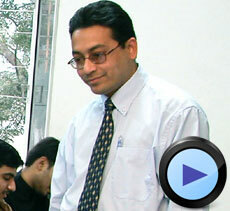 His teaching methodology is unique and makes Chemistry an interesting and easy to learn subject. He is undoubtedly one of the few most effective and successful Chemistry teachers of the nation for IIT-JEE preparation. "TOPCHALKS has helped me to approach topics in a systematic manner, and most importantly provided a number of different questions & guidance, which ensured that I put in the effortsrequired to scale an examination the magnitude of IIT-JEE". "Concepts have been taught very well unlike other IIT study material. This helped a lot insolving all the various & unique questions. Instructors were very approachable for any queryresolution. Studying with TopChalks helped focus on conceptual understanding that enhances a student's performance in the subjects of Physics, Chemistry and Maths." "IIT-JEE aspirant- Coaching in Delhi, Class XII studying (Non attending school in Patna)"The Study Material provided by TOPCHALKS is excellent. The Class XI Instructors' have made the class enjoyable and made it easier to understand the difficult concepts into meaningful, understandable and easy to grasp lessons. Their knowledge and experience is obvious and reflects from their teachings. Now I can balance preparation IIT-JEE and Class XII both with good results. "TopChalks faculty Majeed Sir and Sachin Sir are the only one responsible for my success in IIT-JEE." "Qualifying IIT-JEE is a dream come true and being taught by Majeed Sir and Sachin Sir is an experience itself. Thank you Sir for being there for me." "I wanted to crack DPMT, but did not have enough faith in me. Sachin Sir instilled that self-faith and taught me to conquer." "TopChalks faculty Dr. Majeed has helped me a lot to strengthen my basics for Maths which has resulted into my performance for IIT-JEE and AIEEE this year. Thank you Sir." "TopChalks faculty and their style of teaching have highly influenced me to achieve what I want in life. Thanks you Majeed Sir." "Sachin Sir from TopChalks made me realize my true potential and help me qualify with DPMT." "Majeed Sir is a true mentor. He not only helped me achieve my goal of cracking IIT-JEE but he has been a constant support throughout." "For me IIT-JEE preparation was very difficult. Topchalks made it easy. And when Dr. Majeed is teaching students, there is no chance of failure."